Our traditional martial arts training solution is tailored for the professional person who is 40+ and wants to be fit and focused. In a very supportive learning environment we have many members who are in their late teens, 20s and 30s and now we are firmly focused on supporting those who are over 40. The teaching team is led by the Australian Technical Advisory Chairman and seven times International delegate who started his martial arts training in 1974. Soo Bahk Do is the scientific use of the body in methods of self defence, combined with natural philosophy guiding the student towards discovering their full potential. What makes Soo Bahk Do unique is its versatility and philosophy. Throughout the centuries, Korea has been attacked and invaded many times, meaning the people and the art of Soo Bahk Do has become physically and mentally versatile out of necessity. This has resulted in an art that demands mastery of the whole body, not just kicking, choking and punching. The challenging techniques taught range from fast and spontaneous, to slow graceful flowing movements that not only give variety but challenge students at all levels. The basic purpose for training in Soo Bahk Do is not to injure the enemy, but instead to develop a person who is more advanced in both the mental and physical aspects of life. Dedicated internationally qualified instructors with decades of experience will guide the practitioners through the techniques and sequences. 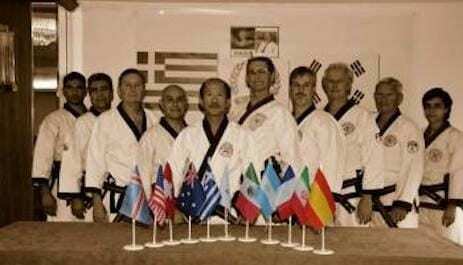 As Black Belts, we have been teaching here in Canberra since 1984 and represent our region and nation on a regular basis internationally. Soo Bahk Do is a complete martial art that promotes longevity. It is the one thing you do in your life that will make everything else better! Personal Discipline and respect, Conflict resolution and improved human relations. If you would like more information about our traditional martial arts training solutions, please call us on 0438 608 700 or better still request an appointment and together we can help plan your martial art journey.